Fifth grade students took their indoor lessons on the water cycle outside to experiment with the effects of water on their group designed communities. 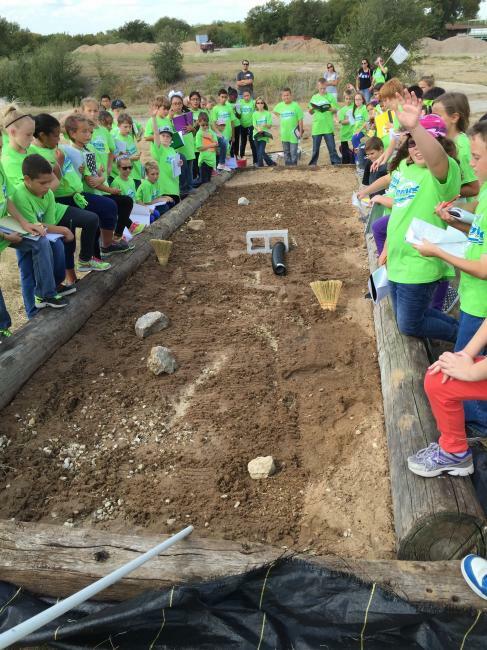 Stream tables were built on a slight slope using railroad ties and then filling them with sand. Water was applied to the upper end of the slope in each stream simulator. Students predicted the course of the water and designed their communities around that prediction. Students had to collaborate on flood control, crop protection, levee construction, and accumulation for potable water. Students took notes during the experiment and then discussed what worked in their design and what they would need to change. Back in the classroom connections to real world situations were sought. 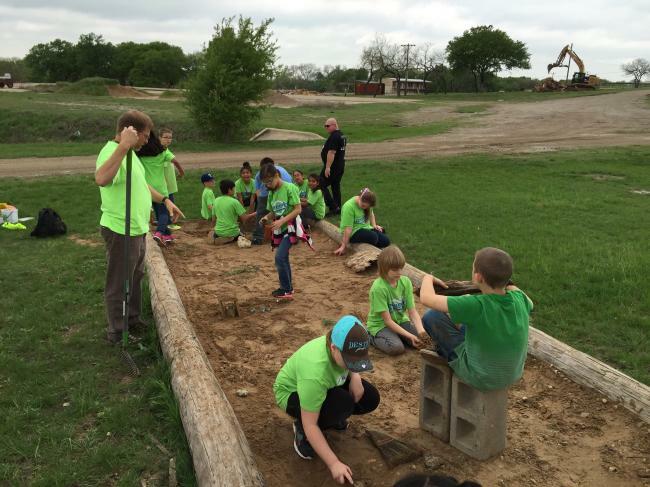 Students had been learning the importance of protecting and conserving our water sources as Texas had been experimenting extreme drought conditions. Students became aware of public service announcements stressing water conservation. This experiment caused students to extend traditional water cycle lessons into practical and real world situations. They learned that while there may be a fixed amount of water there is not a fixed amount in any one place. Weather patterns change and the effects when considering our water supply can be drastic. Students often returned to class with comments about visiting local lakes, dams, observing drainage routes, interest in local lake and river levels. Discussions from this lesson continued throughout the year. How long will it take to decompose?